A sunspot observation (NOAA11823) is shown. 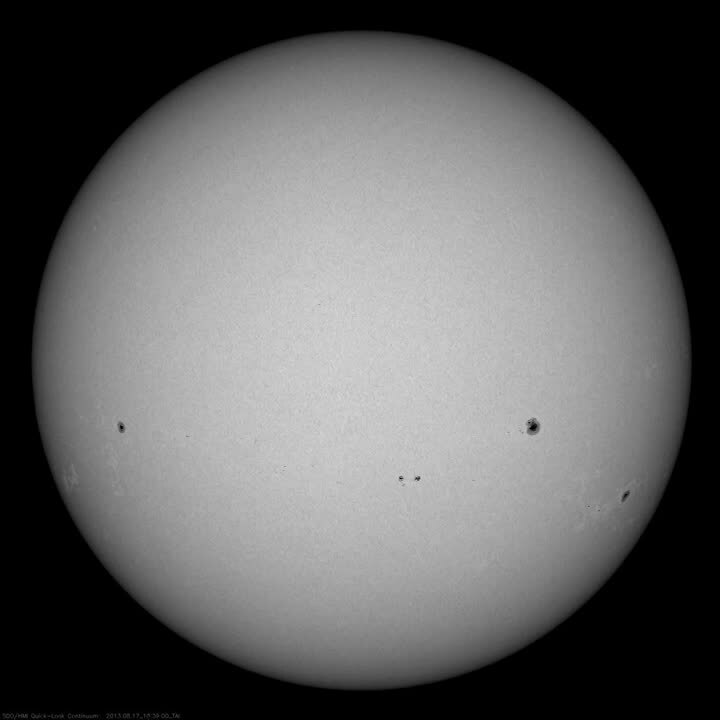 First the sunspot (HMI continuum intensity) rotates across the solar disk. Then the region is zoomed in and changes to the high-resolution observation of the Dunn Solar Telescope. Then the sunspot is shown in continuum intensity, later in chromospheric intensity and in a three-dimensional view revealing umbral flashes and running penumbral waves.